It makes my teeth grate! You see businesses use the term “solutions” all the time. They tell you they offer a “solution”. Some businesses even use the term as part of their name (Side note: I was going to use a fictitious example but thought I’d better check in Google. Good thing I did; for every example I tried, I found a real business - oops). They claim to sell ‘solutions’ in the hope they can charge a premium or perform some miracle that will instantly differentiate them from their competitors. Now there is nothing wrong with providing solutions. In fact, you wouldn’t be in business if you didn’t have a product or service that someone wanted. Why do they want your solution? Because they have a need, a want, a problem they want to go away. And that is the key – the problem. Your product or service will have features and benefits. You must demonstrate that the features and benefits of your product will solve their problem, and that they can believe your claims. As I wrote in The Challenge of Customer Awareness you need to approach your target market with a targeted message; the same message will not convert all. Ineffective sales messages are a waste of money. The benefits that are the core of your “solution” are “converters”. They're not “attractors”. The problems your prospect has are the attractors. When you jump straight to trying to sell your solution you end up trying to do the conversion before the attraction--which is logically not the best way to go. Never start the process (of solving a problem) by proposing a solution. First, decision makers and influencers must agree on the nature and importance of the problem. The first step in solving a problem is to know what the problem is. Don't offer a solution before you have taken the time to accurately define the problem. How aware is your market about the problem, their need for a solution, and of course, your solution specifically? As I suggest to clients when helping them write tenders are proposals, don’t start your response with your offer, or even your value proposition, and you must have a value proposition (or Unique Sales Proposition) for them. That will just turn them off. Start with your understanding of their problem, and their requirement. Alan Dupont said it well, “If we don't understand the problem, we won't find solutions”. When issues are complex, analysis is difficult, and solutions are hard to find, it often pays to step back and take a sober, detached look at the problem, and demonstrate your understanding of the depth of that problem. What makes it a solution is that someone is looking for it. Putting the solution before the problem doesn’t attract your buyer. Remember people buy for emotional reasons, but justify their decision with logic. Once you can identify the emotional pain you can make the connection with your headline. Your sales message says “I know, I understand, I feel it” before giving the benefits (emotion) and features (logic on which they can rationalise the decision). Solving problems creates value. And the more pressing the problem, the more value a solution has. Also, the more severe the problem, the greater the value the solution has. Beware just making a suggestion. People pay real money for solutions, not suggestions. Suggestions are based upon logic, prevention and are usually theoretical and conceptual. Solutions offer relief, evidence, are being searched for, and deliver a specific tangible result. It's only when there are no substitutes, or when the prospect believes there are no substitutes, that a much higher profit margin can be commanded. The way you do that is by positioning yourself as a unique solution to your prospects' unmet needs. Simply broadcasting that you have a “solution”, won’t build your business. Being able to solve a real problem, in a large enough niche, and providing real value, will. But you must start with the problem. 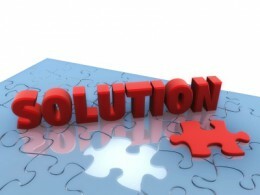 Do you use the Problem- Solution approach in your Business? When clients approach me for coaching, clients with businesses just don’t make the sales they should, I often find their offers are all take, with very little give. The problems often lie in their eagerness to talk about their unique offering, and not listen to understand the depth of the client’s problem. If you would like to learn more, I’m offering a free consultation, yes, there is no cost – this is my gift to you, book a Strategy Consult here. 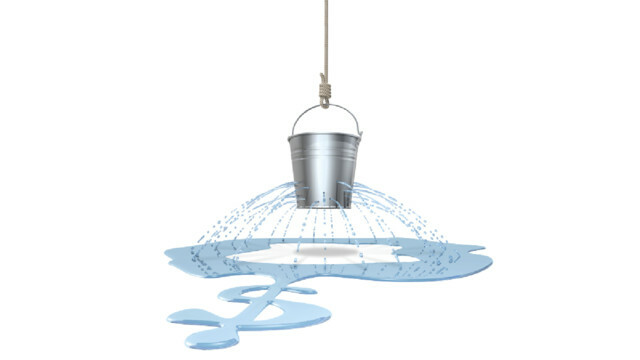 It’s not the volume of sales that’s important…..
Last week I looked at seven ways your business could leak profits, and how to avoid those mistakes, courtesy of an article by Kelly Clifford. In this post I’ll look at five more ways to leak profits. My mantra is that it is not the volume of sales that’s important in determining the profitability of your business, but the volume of Gross profits. Each of the five ways below has an impact on your gross profits. So often I see businesses being told that they have to build their customer base, and sell more. Now that certainly can be true, but it is not always true. For many small businesses increased profitability can be obtained more easily, and more quickly, by plugging the profit leaks in their business. Do you know which of your clients are profitable, and which are not? You’ve no doubt heard of the 8020 rule; 80% of your sales and profits will come from 20% of your clients. In my experience this is broadly true. There are a couple of factors which affect the profitability of clients. What discounts and concessions did you have to give to win that client? If you did, it is likely that you are still giving those discounts or concessions, and they reduce your Gross profit margin. What does it cost to service that client? Some clients are wonderful, and a joy to have, but others can be the client from hell. I had a client some time ago who had a customer who provided 30% of their turnover; obviously an important client. But they were very difficult to deal with and took 80% of managements time. It’s not just the amount of management time going to that one client, but is also the lack of attention to the other clients who may resent the lack of customer service. Many of these costs are hidden in your overheads when they should be attributed to the cost of sales to that client. And that leads me to the next leak. When looking at clients’ financial statements so often I find direct costs, i.e. those that are directly attributable to a product or sale, allocated to overheads. They include such things as freight and delivery, packaging and direct labour. Freight in particular is frequently found in overheads. Yet it is a Cost of Sale. I find the same with Wages and Salaries. It might be convenient for your accountant to include them in Overheads (Administration). After all, their main concern is determining your tax liabilities. Your concern should be management of your business. Sure, the salaries of your admin staff are an overhead, but the salaries or wages, and their on-costs such as Superannuation, of those people who make or repair things are a direct cost attributable to the item manufactured or repaired. Unless you do so, you don’t really know your Gross Profit margin, and can’t make the right pricing decision. Poor pricing decisions leaves money on the table. And then there are the “nuts and bolts”. In trade-based businesses there are things like nuts and bolts (literally) that may be used in a job, and things like hand cleansers, wipes and a whole lot of other incidental costs. It is difficult to record them against a particular job, so again they tend to end up in Overheads, spread across all jobs. Far better to do as some businesses do, and allocate a small percentage to “Incidentals” on the invoice. You might have had this happen to you; my accountant would sometimes say “That was three hours, but let’s call it two and a half!” He would “write-off” a proportion of the time spent on my accounts. Gratefully received, to be sure, but it his decision. I used to wonder how many people he did this for, and what was the cost to his practice. No doubt it made him feel good. More pernicious is ignorance. One client had a business that serviced small engines. The engines would come in by truck or service or overhaul, the engine would be unloaded, taken into the workshop, worked on, loaded back on a truck for delivery to the client. While the time spent by mechanic working on the engine was recorded against that job the unloading and loading time was not. The owner told me that it didn’t matter as it only amounted to about fifteen minutes a job. If that happened twice a day, five days a week, the unallocated cost amounts to 2 ½ hours a week. At a charge-out rate of, say $100 an hour, that is $250 a week not covered. Over a year that adds up. It should be recovered against the job. But not doing so is a loss of profits. Then consider this, just as a bad debt is not recovered by a sale for the same amount (the sale must give a profit to the same level as the bad debt), to recover that $250 a week requires sales which will provide that as profit. The 80-20 rule also applies to products & services. The majority of your sales, and your profits, will come from the minority of your products and services. There is a catch here you should be aware of – the products you sell the most of aren’t necessarily the ones that make the most profit. Here’s the point; so many businesses I’ve worked with don’t know the profitability of their individual products, or, not infrequently, of their product lines. They may know their theoretical profits, but not their actual profits. That can be due to some of those issues above – misallocation of costs or not charging for all the work done. But in some cases they just don’t actually calculate their Cost of Sales by product line. In one case, when we worked with a client to allocate their Cost of Sales to the applicable product lines, we found their Cost of Sales was greater than the price charged. The more they sold, the more profits they leaked. According to a research report by Ruby Newell-Legner, a typical business hears from 4% of its dissatisfied customers. 96% won’t complain and 91% of those will never return. Good customers are far more profitable than new customers. They buy more often, they spend more and they provide referrals. And it costs many times more to acquire new customers (think of your promotional costs) than to retain a customer. Yes, advertising may be about selling more, but it is mainly about acquiring new customers. As marketing guru Dan Kennedy says, the whole point of a “Sale” is not to make a profit; it is to acquire a customer. But having acquired a new customer, you need to keep her. If you are leaking customers, you will be leaking profits! Don’t Make These 5 Mistakes! When clients approach me for coaching, so often, they are not getting the clients they need, the right clients. Eight times out of ten this comes down to not knowing what is working, and what is not working, and how to work out just where they are leaking profits, and plug those leaks. Now that is a headline to grab the attention of a Profit Leak Detective. If you are trying to improve the profitability of your business this year, it is important to identify the ways in which your business could leak profit. Here Kelly Clifford reveals seven ways in which your business could leak profit in 2017 and how to avoid these mistakes. Kelly is a profit specialist and the author of ‘The Profitable Professional’. He is the founder of Profit in Focus and on a mission to help businesses to profitably THRIVE. When calculating pricing, many are often too focussed on the gross profit margin and tend to neglect setting something aside for fixed costs or overheads. Business owners then wonder why they are making minimal profit, if at all! If money is moving into the bank account of a business, this does not necessarily mean that profit is being made on this. Businesses can fail to take into account all of the factors when agreeing to provide a service at a given price. The price tends to be set by market forces but most bosses fail to do an initial analysis to find out if they can deliver the service at a cost less than the revenue received; while bringing in sufficient profits above both fixed and variable costs. Next up on how the list of companies can leak profit is a fairly important factor often overlooked. It is not job well done as soon as an invoice is sent to the client for payment. Bosses must make sure payment is collected on the payment terms agreed. It is pointless invoicing a client if the payment is not followed through and collected. After all, profit is not earned until the moment that the full amount for that invoice is received in the businesses bank account. Businesses need to be pro-active in collecting invoices. Attention towards managing cash flow has to be one of the most important aspects of running and maintaining a business that doesn’t leak profit. If a business fails to pay its bills due to a lack of cash, then technically the business is insolvent – the main reason companies go bankrupt. While this prospect should be enough to remind you to take care when managing your cash flow, it shouldn’t be the only reason. Careful cash management means reducing the risks to which businesses can become exposed to. Businesses which suffer from money problems have no safety net for unplanned costs and can also experience difficulties in obtaining funds for expansion. It is truly worrying how many assume the finance side of their business will be okay and in some cases do not know where their financial reports are, let alone regularly review them. This mentality is alarming. Not only are there legal obligations in terms of record keeping, but bosses could be at risk when burying their heads in the sand due to finances. Numbers are not something that should frighten you. A budget is a plan that sets the expenditure and income of a business over a certain time-span, typically annually – it’s a must if you want a business that doesn’t leak profit. Budgeting describes the process of using this budget and can be an invaluable instrument for managing your businesses finances. It helps to determine the best way for a business to control and make money, so it is vital to have one in the first place to stop any potential profit-leaking. Everybody dislikes unnecessary waste, but despite this it is likely that most businesses at some point are wasting money on unnecessary things. This can be through overpaying for a product or service to just buying things that the businesses simply do not need. Business utilities are one major example. We have all seen the adverts that tempt us to comparison sites to find the best deal for our home utility bills and ultimately save us money. However, most businesses freely accept the tariffs offered by the utility companies, without fully knowing if it is a right fit, and are then locked into a higher tariff than is necessary. If the utility comparison sites work for your home utility bills, then of course you should be trying this with your business ones – it also works well to shop around for the best deals for other office essentials! Thanks Kelly – that’s useful. Now I know you have hear many of these before from me, but it is good to see them reinforced. Each of Kelly’s “Mistakes” is a good take-away. Don’t Make These 7 Mistakes! When clients approach me for coaching, so often, they are not getting the clients they need, the right clients. Eight times out of ten this comes down to not knowing what is working, and what is not working, and how to develop that WOW factor that makes them different. So why do so many businesses fail? You will know a business, and probably a few, that have failed. Sometimes that is due to economic conditions, and there is no doubt our economies have been going through a quiet time over the last few years. 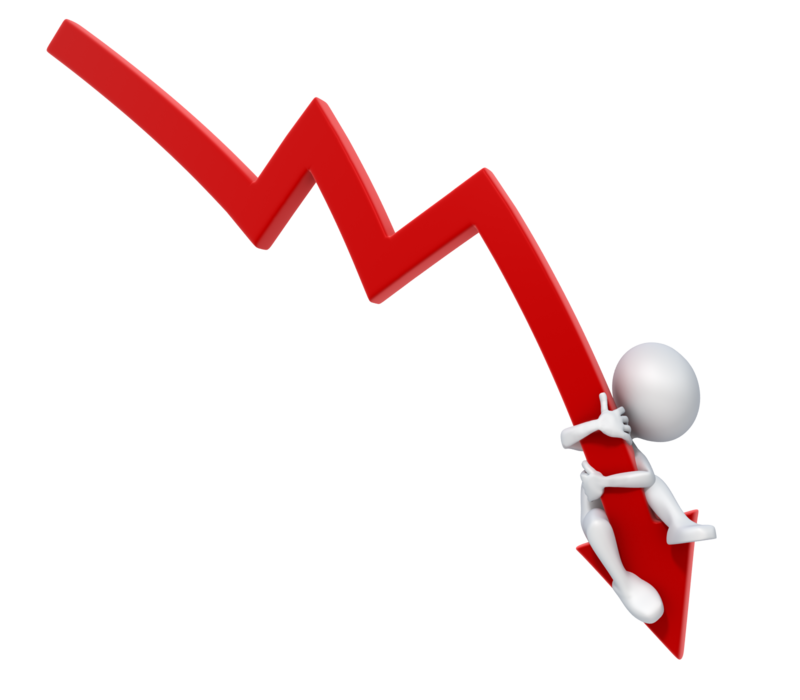 Dun and Bradstreet report, in Australia, that the number of business failures in the third quarter of 2016 rose by 11% compared to the same period last year, and was up 42% on the previous quarter. Quiet economic times leads to both businesses and consumers being cautious with their spending. Having said that, I’ve always been amazed at the number of small businesses that don’t keep a beady eye on what is happening in their market place. They will certainly listen to the gossip of their competitors and other traders around them, but making a regular study of their marketplace, and what the trends are, is done rarely. According to the Australian Bureau of Statistics, more than 60 percent of small businesses cease operating within the first three years of starting. There’s more to it than the economy. As Ben Fewtrell from Action Plan ANZ says “So why do so many businesses fail? Simple… they never learn the basics of how to build and run a business.” I interviewed Ben last year, and you can see the interview here. Despite the gross exaggerations, research reveals just 1.5 per cent of Australian businesses close within their first year. The problems start in the second or third year, when they start to grow. There are some common reasons. One of the most common reasons I have come across repeatedly over the last twenty eight years is the one Ben mentioned; “they never learn the basics of how to build and run a business.” So many businesses are started by people who have developed a good technical skill; it may be as an IT tech, or through a trade, or as an engineer, a vet, or whatever. The problem is that, while they were doing their apprenticeship, degree and working in their industry, no-one training them suggested they might need to also develop business management skills, learn to read and understand financial statements, or how to market - the basics of how to build and run a business. 5. Owner Accountability and discipline with a business that’s run by reports. If you want to have a business, and not just a job, you will need to work “on” your business using these five fundamentals, and not just “in” your business. Those people who build their business on their technical skills alone, tend to only work in their business, on the tools. They just have a job, and will never have a business. Equally, when the tough times come, they are the ones most likely to fail. Greg Hayes from Hayes Knight Accountants & Advisers suggests there are varied reasons why most Australian small businesses struggle to survive. When businesses start with a bad idea, it’s usually the owner wants to “do what they do”, without looking at the market for “what they do”. And if it’s a market that is so crowded, where every product or service is virtually the same, interchangeable with the competition than it’s “commodity hell”. The only way to get ahead is to slash prices until the pain of profit loss squeezes either you or those competitors out of the business. As Greg Hayes says, you just run out of money. You don’t have to fail, or just wing it, trying to learn it as you go along. People whose businesses fail have no-one who has shown them how to run a business. You don’t have to fail, or wing it! If you would like to discuss with me how you might do that, book a Strategy Consult here. There is no charge, it's my gift to you. We all know we need our business to be different, to stand out from our competitors. After all, if a business chooses to be no different from competitors, it is nothing but a match in a matchbox. As well-known marketer John Dwyer said when I interviewed him last year (How to attract customers to your business), “in a sea of sameness in your industry, you need to stand out like a beacon”. But let’s think this through a bit further. Is being different enough, or should you be more specific about this. What makes you stand out like a beacon? Let me ask, “different from whom” and “a why should your prospect care”? Have you noticed how many businesses claim to be unique, or having a unique offering. If they are or do, then they will certainly stand out like a beacon. But such claims usually only exist in the mind of the owner, and rarely in mind of the prospect. There’s only one reason why a prospect should care if you are different, and that is if you solve their problem, whatever it is; whether you can take them from being discontented about something to a different state where their condition/situation has actually improved. That is what they are buying, change, and where the value for them comes from. When it comes to a sales message or copy, most businesses talk about themselves and the business. This is a fatal mistake. They should be focusing on the transformation, the change that will occur when the prospect purchases your product or service. It’s not earth shattering, but it is easy to forget. We get so wrapped up in the wonderful products or services we have to offer, we forget it’s really all about the prospect and what they want. Uniqueness, if it exists, must be in their minds, not yours. Don't try to SELL them; instead, describe a picture of a better world … or way of doing things … or thinking, that is so compelling, it draws them in. If you are good, the prospect is more than sold; they're in … all the way in. And they’ll buy. So be very clear about the outcome you’re trying to create for your prospect. Try rewording your offering in outcome terms, not product or service terms. You’re not a web designer; you drive new digital leads. You’re not a productivity expert; you create more time. You’re not an HR consultant; you help employees drive more value for the company. You’re not a business consultant; you help small businesses improve their profitability, cash flow, and have more free time. You need to get inside the mind of your prospect, and understand their discontent, and to be able to show you understand it. The other point worth making is that beacon-like point of difference needs to be something that is not easily copied by your competitors. If it were, you would become a match in a matchbox again. What you do is important, but how you do it is even more important. 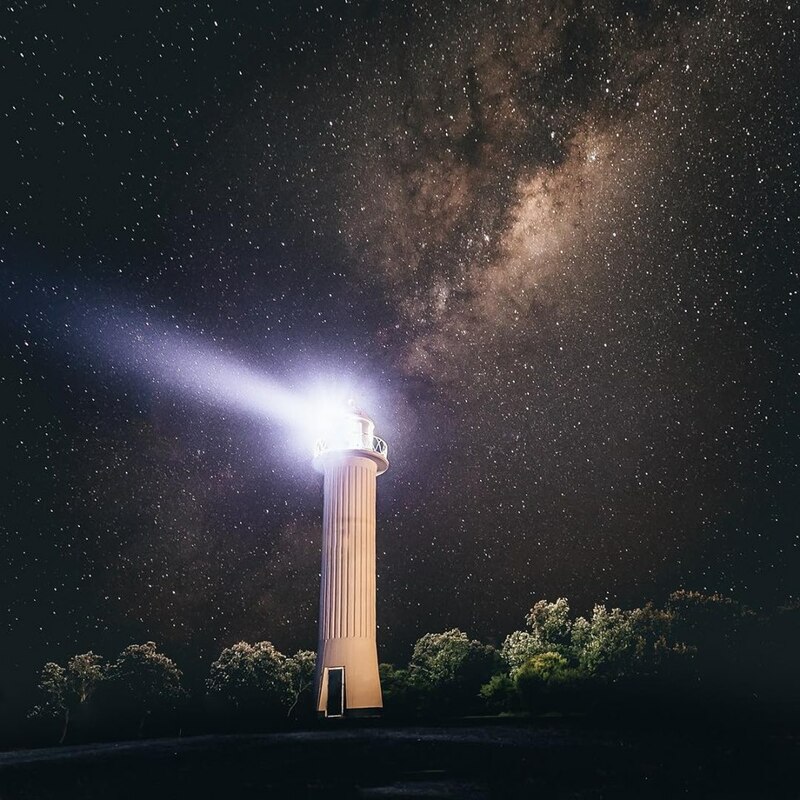 The things that make you stand out like a beacon will come from inside your business, such as speed of service, customer relationships, accessibility. Don’t focus on the difference from your competitors, let your competitors talk about themselves. Focus on the transformation you can do for your customers, the change that will occur when the prospect purchases your product or service. Then your prospect will care. When clients approach me for coaching, so often, they are not getting the clients they need, the right clients. Eight times out of ten this comes down to not knowing what is working, and what is not working, and how to develop that WOW transformational factor that makes them different. For more than 28 years I’ve been helping small business owners plug the profit leaks in their business and restoring their cash flows by assisting them understand how to use the 80-20 rule to determine their most profitable customers, and to determine the message to bring them on board. True story: a good client sold his business last year. The new owners put a manager in and the profit figures, for the moment, are looking good. The problem is, the profits are being achieved by downsizing, reducing the number of employees, and in doing so, reducing their competitive advantage, the value they provide to customers. Inevitably, sales are starting to fall. You’re cruising along in your business, sort of comfortable, but do you have a little query at the back of your mind that occasionally turns into an itch? Could you do better? Just maybe it’s worth taking a look. But what should you be checking? 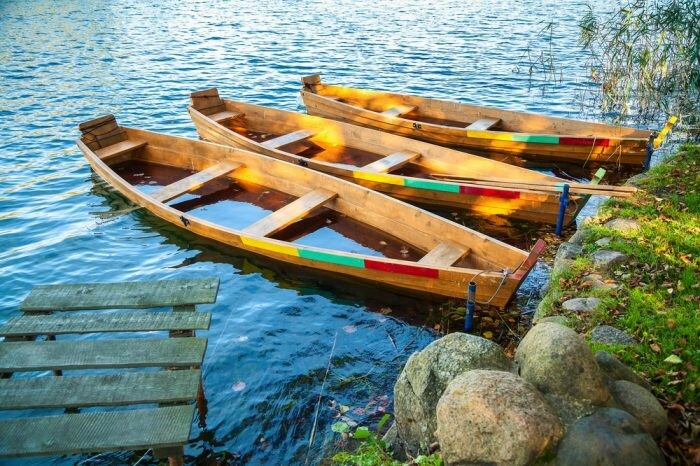 You’ve probably heard the term “benchmarking”, and a very useful tool it is. Benchmarking enables you to compare a range of measures for your industry. In fact, it does more than that; it can compare by the size of businesses in your industry, and by location. Do you know how your performance compares to averages in your industry? “Benchmarking is the process of comparing the business processes and performance metrics including cost, cycle time, productivity, or quality to another that is widely considered to be an industry standard benchmark or best practice. Essentially, benchmarking provides a snapshot of the performance of your business and helps you understand where you are in relation to a particular standard. The result is often a business case and "Burning Platform" for making changes in order to make improvements. Note the reference to “industry standard”. Knowing how your performance compares to your own industry is important. Finding that you are behind the average is a great spur to improving your performance, as is the desire to compare to the best in your industry. I regularly benchmark my clients to help them improve their profitability, productivity and the value they provide to customers – i.e their competitive advantage. I’ve written about benchmarking a number of times. • Do you know why good businesses keep getting better? • Do you have this business disease? • Is there flab in your overheads? In fact the quotation above comes from one of those posts. There is one aspect of benchmarking that is not always looked at, but can give you real insight into the opportunities for improving your cashflow, and profitability. That is what I’m examining in this blog. Profitability per employee is not just a measure of profitability, it is also a measure of productivity; how much value does each employee generate for your business, and your customers? It is also a measure of your competitive advantage. As I discuss in “Do you know why good businesses keep getting better?” good managers look ahead and benchmark their business against their industry peers. They are looking at profitability, productivity and seeking to create competitive advantage, and scoring their performance through benchmarking. The first thing you must do is to establish your base; the number of employees. Different businesses may employ a different mix of full-time, part-time and casual employees. To ensure a consistent base it is necessary to convert the number of employees to Full-Time Equivalents (FTEs). This should include working owners or Principals. But what are you going to measure? The easiest and most common measure is Sales per Person. You can also measure this in terms of Sales per $ Wages, but for the purposes of this blog I will stick to ‘per person’. The problem with this measure is that a good year in Sales (Income) does not always flow through to the bottom line. Nasties like low margins, high Cost of Sales or high Overheads may leach away your profits. Sales don’t always equal success, particularly if they have been achieved at the expense of margins. 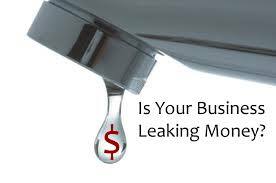 Not charging the right price for your product or service leaves money on the table; a profit leak. Gross Profit per Employee is a much better measure of profitability, productivity, and competitive advantage. My well-known mantra is that it is not the volume of sales that is important, but the volume of Gross Profits. If you can maintain a higher GP/Employee than your industry average, then you be reaping the rewards of creating a competitive advantage. People are willing to pay more because your product/service is better, there is a point of difference which they perceive is of higher value. So the final measure you may wish to take is Nett Profit per employee. While different businesses in the same industry may have different financial structures, ultimately that Nett Profit figure is the key to your future, and the ultimate measure of profitability, productivity, and competitive advantage. That’s why benchmarking is important. Once you see your peers doing better, you know improvement is achievable. You have a target. Planning becomes easier when you know the target is achievable. Improve, and then pass your peers. For more than 28 years I’ve been helping small business owners plug the profit leaks in their business and restoring their cash flows by assisting them understand where and how they may change their business to be a leader in profitability, productivity, and competitive advantage. Does your marketing tail stretch to the sea? Does your marketing message match the terrain? Picture this: you see a mountain reaching up into the sky. 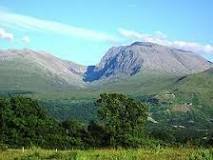 It may be a gentle, rounded mountain or one of those jagged peaks. Running down from the mountain are the slopes, stretching down gradually to the plains below. And the plains slowly run on to the sea. Your customer base will be something like that. There will be a group of customers who provide the majority of your sales, and profits; they are the mountain, making up the bulk in dollar terms of your revenue. It’s the 80/20 factor; 20% of your customers will provide 80% of your profits. Then there are those who buy less frequently, or in smaller amounts, but are still regular customers. They are slopes of your customer mountain. And lastly there are the plains stretching out to the distant sea, that great mass of customers who may comprise the bulk of names on your customer base, but in fact buy very little and do so only occasionally. In marketing terms, particularly in these days of e-marketing, they are known as the marketing ‘tail’, the 80% of customers who provide 20% of your profits. When you promote your products or service, to what part of the terrain are you promoting? The whole landscape, (i.e. everybody), or to the mountain, the slopes or the plains. Let me ask you which landscape is going to give you the best return on your promotional dollar? As a small business, my assumption is that you do not have unlimited dollars for promotion. I guess the corollary question at this stage is whether you actually measure the return you are getting now from your promotion. But that is a question for another day. If you spend $500 on a promotion from the mountain to the sea, your promotional message will be about everyone, and no-one. The first thing any potential buyer looks for in any promotion is WIIFM (what’s in it for me). Because your ‘landscape’ message will of necessity be general, no-one will be able to say “that’s me”, and be enticed into your message. So now ask yourself: who is more likely to buy; those customers on the mountain who buy from you frequently, or those who may only do so occasionally, and for small amounts at that. Why would you waste money promoting to the tail? Think about it; that tail will be made up of a great diversity of people, each with different needs and requirements. Your message will be meaningless to the majority, and being meaningless, be ineffective, a complete waste of money. On the other hand, if you target a particular part of your customer base (those on the mountain), and direct your promotional message specifically to their needs, they will be much more likely to say “that’s me”. And if they say “that’s me“, they will be much more likely to buy. Seek to gain more customers like those on the mountain; good, regular buyers who will build your business, and your profits and cash flow. How to Capture those Leads, Make More Sales, and Grow your Business! Have you thought about what happens when people visit your website, and leave? The ugly reality is that only 5%, or less, are taking the action you want them to take. How do you follow up with the 95%? There is a way you can capture them, and follow-up. It’s called remarketing. And that is why I interviewed Greg Cassar. Greg Cassar has worked with over 300 businesses as an agency & a coach to help them grow as much as 10x in a year. Lead Generation – before you have a sale you need a lead. Having performed over 400 split tests and managed over $6m in clicks, Greg has driven over 1.8m leads for his clients and his own businesses. Sales -As a result of spending over $250k on his own education Greg has modelled & perfected the best techniques from around the world for converting leads into customers & ascending them through the sales cycle with a real focus on Customer Value Optimization (CVO). Greg is going to discuss “How to capture those leads, make more sales and grow your business”. So listen up! You are going to learn some valuable tips. 1. What is the 95% rule and what is remarketing? 2. How do we get started with remarketing? 3. What is the most common scenario, and how would business owners use this in their business? 4. Only 20% of businesses remarket. What action steps would you recommend they take from here? The 95% Rule - Of all the people hitting your website, only 5% take the action you want them to take. You spend a lot of time and money getting people to your website, only to have virtually all of them leaving without doing what you wanted them to do. How do you follow up with them if they haven’t filled in your form? Re-marketing or re-targeting helps you to do so. 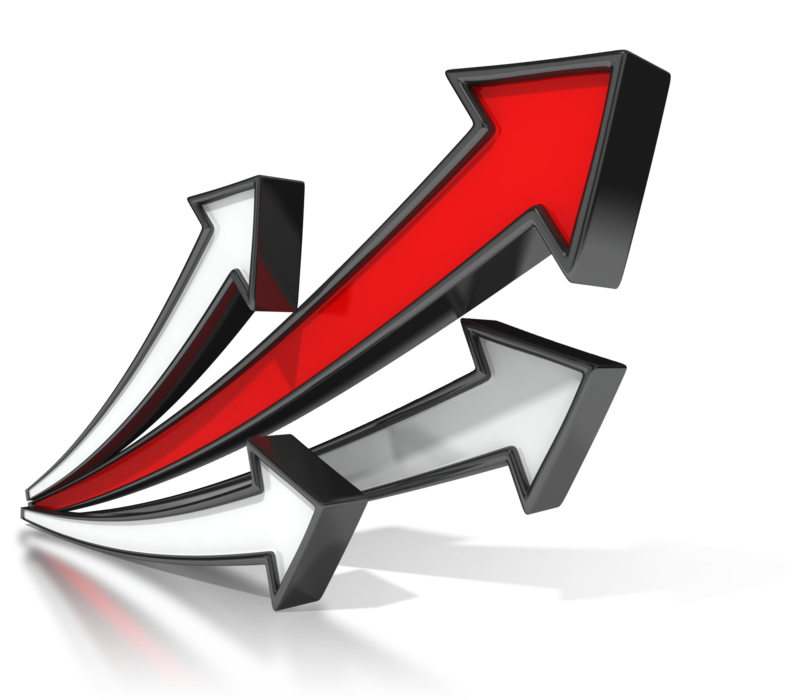 Remarketing enables you to follow them around the web and put your ad in front of them in different places they visit. It’s about putting the right message in front of the right person at the right time. Sometimes you need people to give you their time before they’ll give you their money. Only 20% of businesses do this, 80% don’t. In Google, you have to get what is called remarketing code, and in Facebook it’s Pixel code. Have your web developer put it on your website. You will start to build an invisible list of people who have visited your website, called an “audience”. You can then create an ad campaign with an offer to follow them. Remarketing doesn’t have to be expensive, you can set a limit of, say, $5 per day. Because these people have already visited your website, they’ve already shown interest. The key is that it is targeted. You could make offers, or lead them to valuable content which will grow their “know, like, and trust” in you. It’s easier to start with Facebook. Go to Google later. Once you have the Pixel code on your website, you can create an ad campaign to follow the Pixel. There’s an old saying: “Without customers, you don’t have a business!” And that is the challenge – you certainly won’t get the customers you want by being the same, bland, nondescript edition of your competition. I sometimes refer to this as being like a match in a matchbox – why should the customer choose you when you are no different from all your competitors? John Dwyer (known as “JD” to most) is a marketing enigma, unique in the field of advertising. When it comes to creating MORE sales for businesses, his thinking is refreshingly unconventional. And thank goodness for that - because there are way too many “so-called marketing experts” out there who simply pedal the same old “marketing philosophies”. John preaches “in a sea of sameness in your industry, you need to stand out like a beacon - and the best way to do this is by using wow factor marketing techniques”. You're going to really enjoy this interview because John thinks “way outside the square” - he cuts to the chase and shows business owners exactly “how to attract new clients to their business”. His clients & business partners include the “who’s who” of business, the likes of News Limited, 7 Eleven, KFC, McDonalds, Disney, Warner Bros & Blockbuster Video – just to name a few. And wait for this – he’s also the bloke who none other than Jerry Seinfeld trusted his latest advertising campaign to! So, if you’re looking for “NEW IDEAS” of how to attract new clients, get ready – because you’re about to get an avalanche of great marketing ideas! 1. JD, what Tips can you give on “HOW” to identify one’s “most profitable” client & then look for more people who look like him or her! 2. 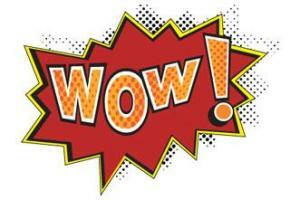 So how do you create a “wow factor” to take one’s prospects’ eyes OFF THE PRICE. 5. How to stimulate “loyalty” through clever “repetitive trade” teasing campaigns. Now I know I mentioned a few big names that JD works with, but let me tell you, his teachings will work just as well with your business. Identify and use a “Wow” factor to take that client’s eyes off the price. You can’t beat the big boys on price, so find something that will say “Wow” to your ideal client. If you are not going to get the volume the big boys get, you have to get good margins. Problem – Solution; you have to make sure you are delivering a solution to their problem. Identify the problem that ideal client has, and then show the transformation that your solution delivers. You have to show the transformation. Capture their details - So many offline businesses have no idea who is coming into their business, and so no way of contacting them directly. To get more information or resources go to JD’s website. Amongst other goodies John runs A FREE WEBINAR where he provides you with more insights into his “Client Attraction Marketing Formula”. 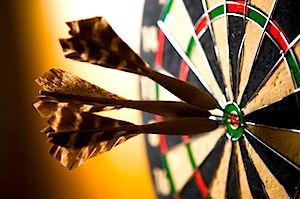 Do you need Highly Targeted leads Daily? Who does not need a constant flow of quality leads? Do you want to reach out to your target market effectively and convert connections into clients or customers, and strengthen your business or personal brand in a powerful way? If you do, you’ll find this interview very useful. Today I’m joined by Social Media Expert Adam Houlahan. For those of you who don’t know Adam, he is an International Keynote Speaker specialising in Social Media for business, and CEO of the highly successful boutique agency, Web Traffic That Works. He lives in Australia's famous tourist destination the Gold Coast Queensland, and is considered to be one of Australia's leading experts in harnessing the power of Linkedin for business. Over 5,200 people globally have sought his skill and insights to leverage the power of LinkedIn for their businesses. Adam is also a featured columnist for MOB Magazine, an Australian National Business publication. He consults on Social Media to private clients in Australia, New Zealand, North America, The Middle East and Singapore. His work as CEO and owner of 6 successful companies has given him the hands-on experience to understand business from the inside. He is the author of “Social Media – Secret Sauce” and ”The LinkedIn Playbook” which are now amongst the most popular social media books on Amazon. They give the step by step process to build an online presence for yourself or your business everyone secretly or openly desires. Adam answered 5 questions on how to make better use of LinkedIn. LinkedIn is the second fastest growing Social Media network. There are over 400 million people on there right now. The average income of those people exceeds A$100,000. It’s where people seeking goods and services, and have the means to pay for them, hang out. Not all industries can use LinkedIn successfully. Personal service industries such as hairdressers. LinkedIn is a professional platform, so you have to be professional in your approach. It can’t be treated like Facebook. Before you post, ask yourself, are your potential clients going to get value from this content? Don’t post the wrong type of content. And don’t treat LinkedIn as an extension of your resume’. You should optimise your profile in a much more powerful way than in a resume’. LinkedIn has lots of different types of accounts. In most cases the free version is OK to use. Ultimately it depends on the strategy you are going to use. The most basic of the paid platforms, Business Boss, is suitable for most. Few people would need to go beyond that. It gives you all the features you need to create a successful strategy. Your profile is key. Make sure you have a really professional profile. And a thumbnail image that is good, clean and professional headshot. Your job description needs to be something people are going to search for, not a quirky title like “Chief Inspiration Office”. Be very specific about what you are. The two worst titles you can use are CEO or General Manager. They are not industry specific. Think about it as how people will search for you. Put yourself in the customer’s shoes. Use the Summary effectively. Be clear and concise, and resonate around the client, and the problems they face, not you. And how you solve those problems. Where can people go to get more information or resources? Adam’s website: http://www.adamhoulahan.com and you can access a free, four week LinkedIn training course, and other resources, a link to Amazon for his book “Social Media – Secret Source”. And of course you will find Adam on LinkedIn, and Twitter. Could your LinkedIn Profile be Improved? There’s nothing like an outside view, a second opinion. Very often when we read something we’ve written, we read what we expect to see. And miss the mistakes, or lack of logic, or lack of persuasiveness. If you would like to discuss how you could improve your LinkedIn Profile, contact me. There’s no cost for a consultation. It is my gift to you.